Kose brand is already well known internationally and one of famous product is their lotion. SEKKISEI KOSÉ Lotion helps to deep translucency with the power of oriental plant extracts and even out dull skin. Based on a 'beautiful translucent skin recipe' containing items carefully selected out of approximately hundred types of oriental plants. SEKKISEI KOSÉ Lotion helps to creates fine-textured, hydrated, translucent skin like snow, using hydrating power of gentle oriental plant extratcs. Besides that, SEKKISEI KOSÉ Lotion also helps to balances out the skin's moisture levels, preventing dullness, roughness and pimples caused by dryness, as well as redness caused by sunburn from sunlight or by the sun's reflection in snowy ares. The texture of SEKKISEI KOSÉ Lotion is kind of cloudy white color lotion. It is lightweight yet refreshing enough and leaves the surface of the skin feeling silky smooth, yet hydrated. It also helps to blend instantly into skin, creating fine-textured, plump skin and regains its natural pure translucency down to your pores. • regains its natural pure translucency down to your pores. Other than that, SEKKISEI KOSÉ Lotion is best uses as a mask too. It helps to absorb the lotion into skin even faster than normal pat on skincare. 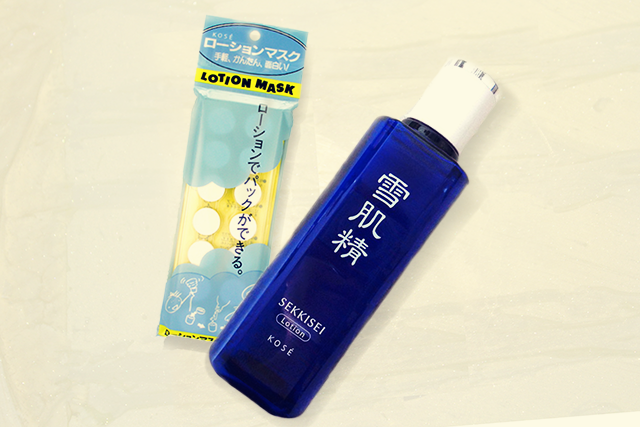 SEKKISEI KOSÉ Lotion Mask can be uses everyday but not more than 10 minutes. 1) Pour SEKKISEI Lotion into cap until it reaches the line. 2) Put the mask into the cap. 3) Allow mask to absorb lotion till it puffs up. 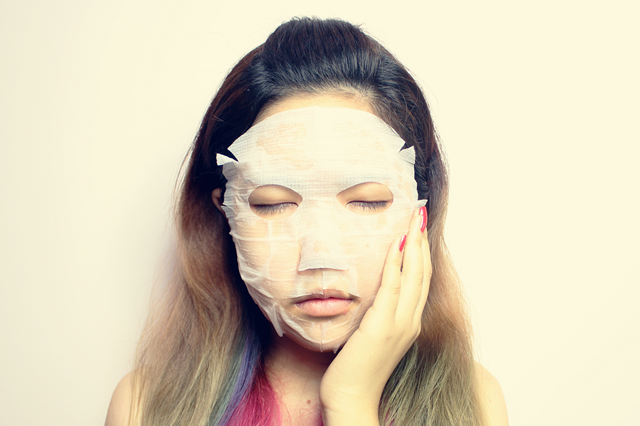 4) Unfold the mask and place onto clean face for 5-10mins. 5) Remove Mas, tap the excess into the skin until it is absorbed, no rinsing is necessary. 6) Voila! Skin is now fair, radiant and translucent like SNOW. Before heading to giveaway part, would like to share with you guys another good news about KOSÉ! 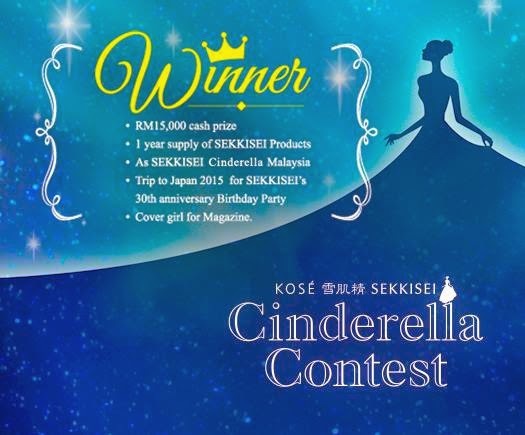 KOSÉ is having a contest, "Miss Cinderella'. If you have confident with your skin condition, then this contest is for you! Yes! Me and your favorite part! Am giving out 24 packs (2 masks per pack) of SEKKISEI KOSÉ Lotion Mask to the first 24 readers! Yes! Means the first 24 readers who complete the criteria given will automatically win yourself a pack of mask. Follow the instructions below to complete the contest. 1. Coix Seed Extract, angelica Extract and melothria (White Lotus) Extract. Hi! Thanks for the giveaway. Q1: The three main ingredients are Coix Seed Extract, Angelica Extract, Melothria( White Lotus) Extract. 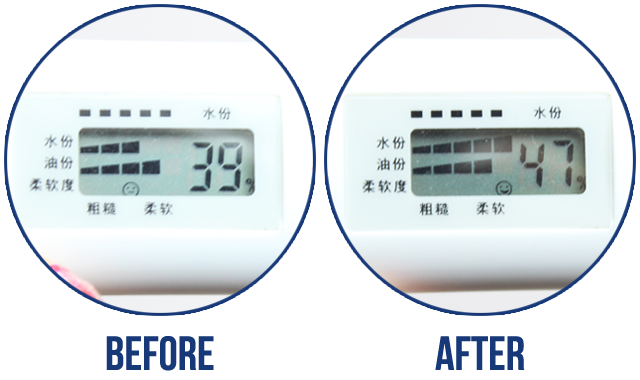 Q2: One of the benefits is whitening.